Details: Prepare for an evening of laughter, spectacular put-downs and familiar friends as Miami’s four favourite Golden Girls – Dorothy, Sophia, Rose and Blanche – reunite in puppet-form for this lovingly hilarious live tribute show! 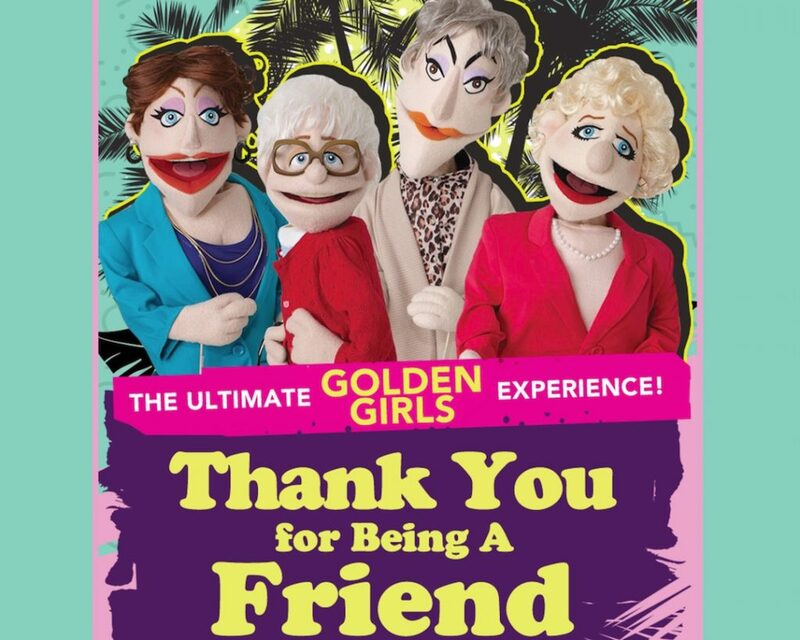 From a sold-out run at Toronto’s Lower Ossington Theatre, Thank You For Being a Friend – The Ultimate Golden Girls Experience comes to BPAC. The critically acclaimed stage show delivers all the classic dialogue, razor sharp gags and the taboo-breaking stories you’d expect. As a wonderful introduction to the joy of the hit television series for first timers, it’ll have the uninitiated rolling in the aisles, while die-hard fans fondly remember the brilliance of The Golden Girls! The 2018/2019 BPAC season also includes: Cirque Le Roux: The Elephant in the Room, Jeremy Hotz, John McDermott Christmas with Special Guests Dala, Upright Citizens Brigade Touring Company, Holly Cole, The Toronto Sketch Comedy Festival: Best of the Fest, and many more!